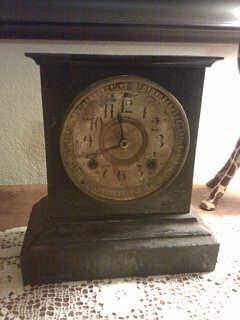 We bought this clock and wanted to find out what model Ansonia it is. We've searched and searched only to find a couple pictures of other clocks similar to it, but not the same. The difference is ours has the numbers (hours) printed on paper. It's stamped (cast) with the number 47 on the inside, does that mean anything? If you could help us out with the model, year, and stamp (casting) meaning, we would greatly appreciate it.